The English-language footage, uploaded on YouTube on Monday night, takes the form of a letter to Donald Trump that thanks him for all the things he has done for China, and highlights many of the country’s concerns in the ongoing trade dispute. 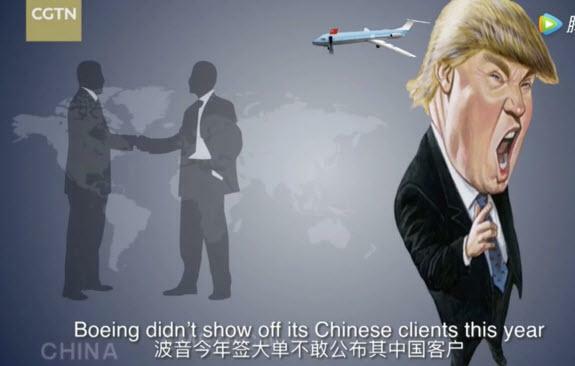 The film by China Global Television Network (CGTN) sarcastically thanks Trump for helping the rest of the world to “bond” and galvanising China into making economic reforms that helped it lure major foreign investors such as Tesla. The clip has since been removed from YouTube and Twitter. It is one of the few occasions that state media has personally targeted the US president since the start of the trade war, with most reports taking a less confrontational tone. The footage, released before Trump was embroiled in the latest controversy concerning the guilty plea of his personal lawyer Michael Cohen and conviction of former campaign chief Paul Manafort, appears designed to promote China’s cause before the latest round of US tariffs are expected to take place on Thursday. 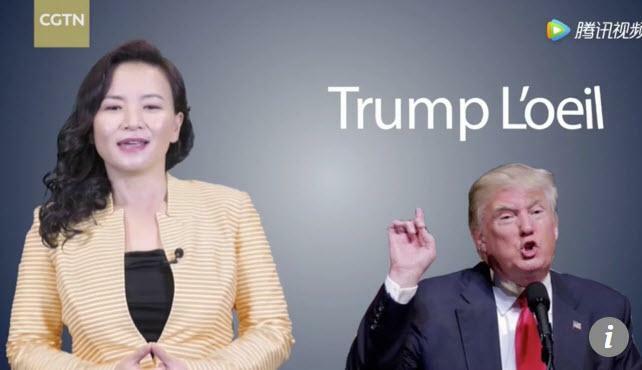 “Dear Mr Trump, Thank you for the shock therapy about how far apart China and the US are and why it’s imperative they get on the same page,” the letter, read out by CGTN business anchor Cheng Lei, says. “Thank you for re-instilling in the Chinese a sense of HUMILITY. How can there be enough gratitude for highlighting the foibles of overconfidence and self-congratulation, never a virtue except in your case,” Cheng, a former reporter for the US CNBC network, continues. Cheng expressed “agreement” with Trump’s stance that the “WTO needs reform”, and went on to thank the US government for reports that spelt out “China’s shortcomings” that had helped it to make “tough reforms” that helped bring in new investors, adding: “Hello, Tesla”. Last month the US electric car maker announced plans to build a new plant in Shanghai, the first in China that will be wholly owned by a foreign company. CGTN, which is broadcast in more than 100 countries from the US to Kenya, is an offshoot of the state broadcaster CCTV. It was rebranded in 2016 as a news channel designed to cater to a foreign audience’s tastes. It is also active on social media platforms – including Twitter, Facebook and YouTube – all of which are banned in China. CGTN is part of a growing arm of state media designed to “tell China stories” as it make a global push to improve its soft power. In June it started recruiting more than 350 journalists ahead for its first European hub, which will open in London later this year. 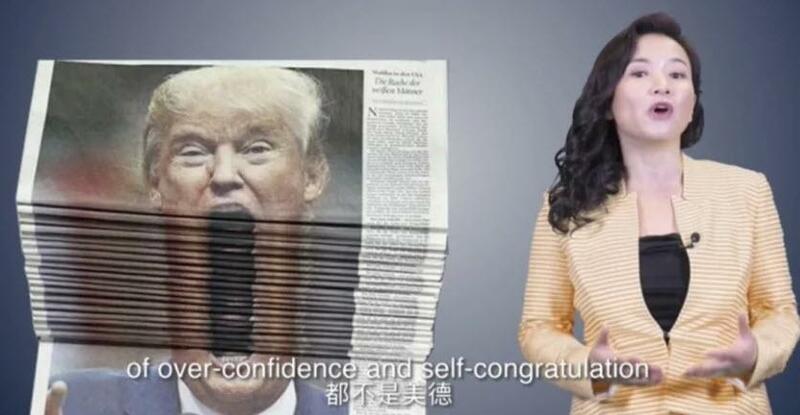 The Chinese state media outlet offered its own take on media ethics in the letter to Trump. “Most of all, thank you for discrediting news media at large, so we need to be doubly sure that we’re not producing fake news. You are GREAT!,” Cheng said, signing off the letter with her “love”.